MILAN -- Fiat S.p.A. CEO Sergio Marchionne said he's told bankers pushing him to pursue an initial public offering of Ferrari that the division may be worth more than 5 billion euros ($7.3 billion). "I've always viewed Ferrari as a sacred brand, and sacred brands are peculiar," Marchionne said in an interview at Fiat's headquarters in Turin, Italy. "I know I can float Ferrari any time, but there's nothing on my desk." Ferrari, which will next month start delivering its first family car, the $359,000 four-seat FF, is Fiat's most profitable unit. The sports-car maker's earnings before interest and taxes rose 23 percent last year to 302 million euros on revenue of 1.92 billion euros. Marchionne's valuation of Ferrari is 2 billion euros more than that of analysts and 63 percent of Fiat's entire market value of 8 billion euros. In addition to Fiat brand cars, the company owns a 30 percent stake in Chrysler Group LLC, as well as the Maserati, Alfa Romeo and Lancia brands. Marchionne raised the possibility of a Ferrari IPO last November when he said he may sell assets, including a stake in the sports-car maker, if he needs cash ahead of a full Chrysler merger. Fiat had 12.2 billion euros in cash and cash equivalents at the end of 2010, and net industrial debt of 542 million euros. Fiat almost halved its debt last year before the spinoff of its industrial businesses. Fiat assumed about 500 million of a total of 2.4 billion euros in debt, with the truck and tractor unit taking on the remaining 1.9 billion euros. Debt will likely rise to between 1.5 billion euros and 1.8 billion euros at end of this year as capital expenditures "are expected to increase substantially" to as much as 4.5 billion euros, Fiat said in January. Bankers are pitching Marchionne, who says he's ordered a white FF, to list the unit to reduce debt and improve Fiat's credit rating. Marchionne, who is also CEO of Chrysler, said he has no immediate plan to list Ferrari because Fiat has enough cash to increase its Chrysler holding. "It's difficult to give a valuation of sacred brands like Ferrari," Marchionne said in the April 4 interview. "There are days when I think more than 5 billion euros." According to the average estimate of four analysts surveyed by Bloomberg, Ferrari may be worth 3 billion euros, or about 10 times operating profit,. 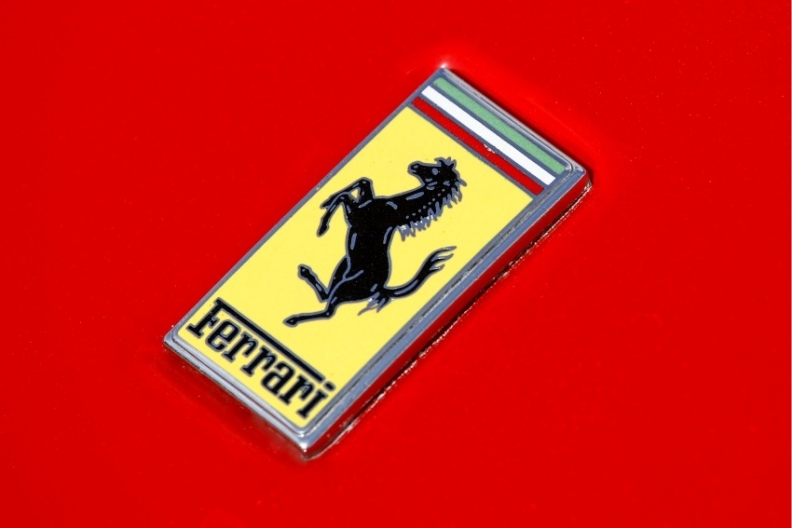 "Ferrari is a trophy asset inside Fiat," said Jochen Gehrke, a Deutsche Bank AG analyst who is ranked No. 1 among Fiat analysts tracked by Bloomberg. "Given the profitability it generates, an IPO would attract huge attention." Luxury-goods company LVMH Moet Hennessy Louis Vuitton SA trades at an enterprise value of 10.8 times operating profit, while Cie. Financiere Richemont SA has an enterprise value of 13 times earnings before interest and taxes, data compiled by Bloomberg show. At 5 billion euros, Ferrari would trade at about 17 times Ebit, compared with a European luxury industry average of 12.7 times, the data show. Ferrari, which employs 2,700 workers, increased deliveries 6 percent last year to 6,573 cars. Lamborghini S.p.A., its main competitor, built 1,302 vehicles last year and posted revenue of 271 million euros. Lamborghini, which is owned by Volkswagen AG, has said it narrowed its loss in 2010 without providing figures. "Rarity value and a compelling equity story could push Ferrari's valuation," said Massimo Vecchio, an analyst at Mediobanca S.p.A. in Milan who estimates Ferrari could raise as much as 2 billion euros for a 45 percent stake of the unit. While Marchionne said he sees no urgent need to list the Italian sport-car maker, he reiterated his commitment to a Chrysler share sale to raise money for the United Auto Workers union's retiree health-care trust, which owns 59.2 percent of the American carmaker. Fiat agreed with the U.S. government after Chrysler emerged from bankruptcy in 2009 to share technology and management in exchange for an initial 20 percent stake and performance goals to increase to 35 percent without paying any cash. Fiat raised its holding last week to 30 percent after reaching targets that included opening Fiat's dealerships in Brazil to the U.S. automaker's products. Fiat expects to gain an additional 5 percent in the fourth quarter after meeting a requirement for Chrysler to assemble a Fiat-derived car in the U.S. that gets 40 miles-per-gallon, Marchionne said, adding that he is still aiming for a Chrysler IPO in 2011. "If the market is there this year, then I would take the opportunity," Marchionne said. "Fiat is not going to monetize its position. It has no interest in exiting. If anything at all, it's going to put money into Chrysler to exercise its call." Fiat has an option to boost its holding to 51 percent after Chrysler repays U.S. and Canadian government loans. The face value of Chrysler's debt to the U.S. and Canadian governments is $7.53 billion, according to a Feb. 25 filing with the U.S. Securities and Exchange Commission. Marchionne said he's working to refinance Chrysler loans by the end of June. The Italian carmaker may pay $1.14 billion to exercise its call option in 2011, according to JPMorgan Chase & Co. analyst Ranjit Unnithan. The cost is linked to Chrysler's earnings. Marchionne, 58, said he plans to give more attention to Fiat's European operations which he acknowledges have suffered while the Chrysler integration has consumed so much time. "The fact that we have engaged in the Chrysler story defocused us from Europe" Marchionne said. "It had to be done because we had to make sure we established all the connections between Fiat and Chrysler." Fiat's market share in the first two months of 2011 sank to 7.5 percent from 9.2 percent a year earlier because of an aging product line and its dependence on sales in debt-stricken southern Europe. VW's share climbed to 22.2 percent from 20.7 percent. "To improve their credit profile, they have to generate profits in Europe," Gehrke said. "Marchionne hasn't fixed Fiat's home market."